Ships the following business day. Free 2-4 Day Shipping via USPS 1st Class Mail. 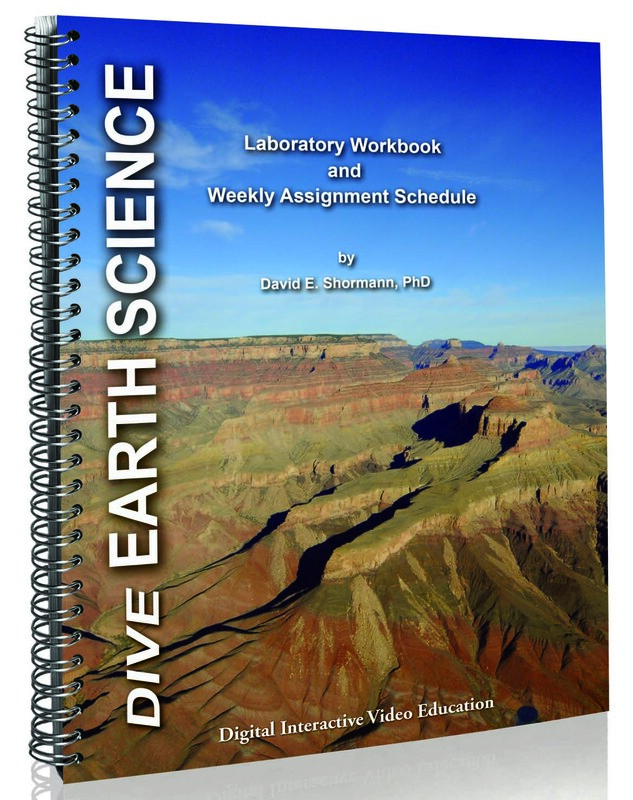 The DIVE Earth Science Lab Workbook contains the Lab Activity pages that are filled out while watching the video lab or while completing the lab hands-on. The workbook is printed in color and spiral bound with color cardstock covers. Since a printable PDF of this workbook is included with each DIVE Earth Science course, it is not necessary to purchase a hardcopy. We offer it as a convenience for those who do not want to print the 100+ pages at home. Hard Copy: For use with eLearning, CD and Digital Download formats.